We'll be at the LABC Conference this month so why not pop by for a DSLive demonstration. Below are a few things we'll be showing and chatting to people about. We hope you stop by to say hello. We'll be chatting about our 'Office' account for authorities which not only includes all of our specialist tools and modules for processing and approving applications but which is also designed to take care of your department's administration and management tasks all in one place online in DSLive. 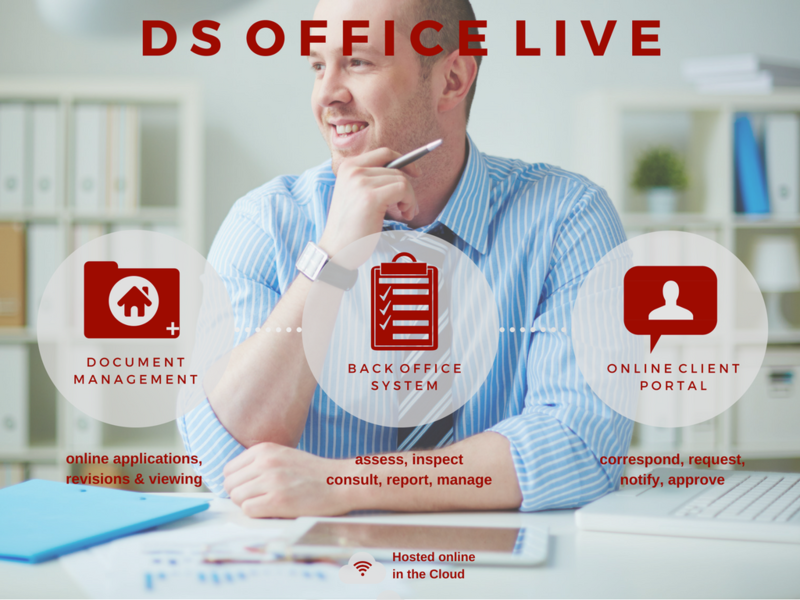 DS Office Live combines your Back Office, your document management and a client portal in one. You can view a summary of what's included in our 'Office' account below. Gain all of our best tools for processing applications including our advanced Document and Plan Viewer that comes with powerful viewing, measuring, markup and calibration tools. 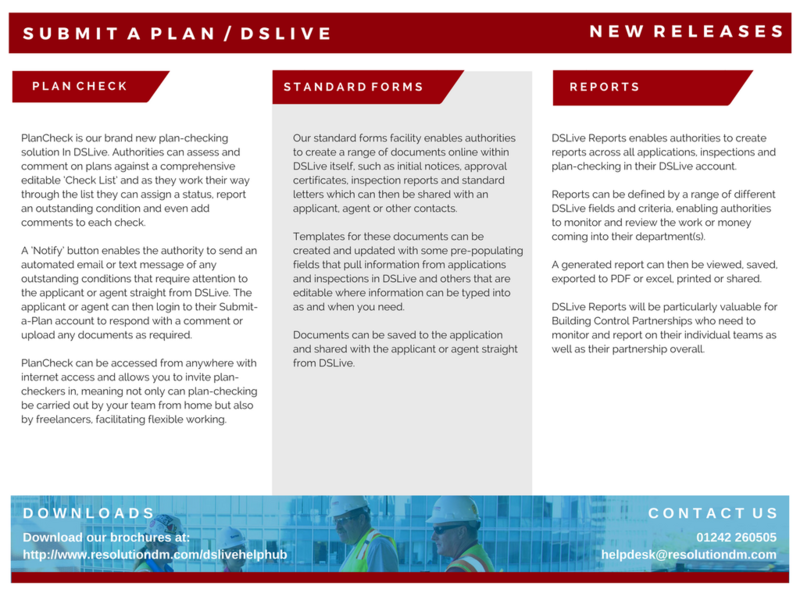 Make use of our specialist Inspections, PlanShare and PlanCheck modules in DSLive to manage and carry out all assessments and consultations that are related to approving an application. Manage your team(s) and applications by assigning officers and using our 'Workflow’ tool to determine the route a newly submitted application progresses through your department(s). Create and share certificates, notices, reports and other documents in DSLive with your own council headings and responses. Say goodbye to your separate Back Office system and register all applications in DSLive. Create detailed reports on the applications, inspections and plan-checking in your DSLive account to monitor and review the work and money coming in to your departments or partnership. Why not come and ask for a demonstration of our latest releases to DSLive including PlanCheck - our new plan-checking solution, DSLive Reports - our new facility for creating detailed reports about applications and inspections in DSLive and our new Standard Forms which enable authorities to create approval certificates, notices and other documents in DSLive and share them with applicants and agents. Download a leaflet all about our new releases to DataSpace Live.